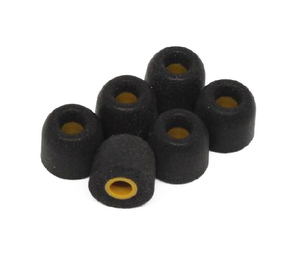 Flare Audio Universal Replacement Earfoams are memory foam replacement ear tips for the full line of Flares earphones (including the JET 1 and JET 2). These ear tips are made of the same high quality memory foam as the audiophile earfoams, but in a shape designed to maximize comfort over everything else. Out of the trio of Flare replacement earphones, these Ultimate tips are by far the most comfortable. The memory foam is water-based and durable. These earfoams fit most ear sizes and shapes. 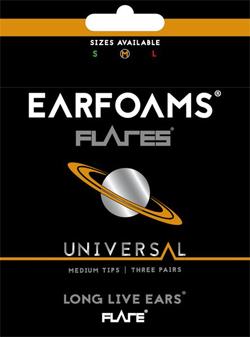 Universal Earfoams are the best eartips for maximizing your comfort while wearing Flares earphones. Especially recommended for those with sensitive ears.